The summer holidays are fast approaching and the kids will soon be out of school and home for 6 weeks. What better way to keep them entertained than to enjoy a day out at one of Britain’s best theme parks? We are fortunate to have several fantastic theme parks dotted right across the isles and there is a bit of something for everyone. Larger parks like Thorpe Park and Alton Towers cater for all ages but there are also some theme parks that are specifically for the younger ones. We all know how difficult it can be to tell your child that they are not yet old enough for a bigger ride! To make your search for the perfect theme park easier, we have compiled a list of the UK’s top 5 theme parks. Find yourself a delightful country cottage near one of the parks and make full use of those short yet sweet summer holidays! Thorpe Park, in Surrey, England, used to be considered a theme park for young families, when the Flying Fish ride was the scariest attraction on offer. Those days are long gone and the park is now known for having some of the biggest and best roller-coasters in the country (and maybe even the world!). The park’s newest rollercoaster, The Swarm, features five inversions and you can choose whether you want to ride the coaster forwards or backwards. Other rollercoasters include the terrifying ‘Stealth’ and Colossus, the park’s first major attraction. However, if your child is too young for rollercoasters, fear not, as Thorpe Park also has a lot of smaller rides and even has its very own Angry Birds Land! The younger kids are sure to love this park just as much as the older kids do. Have a look at our selection of cottages in the wonderful county of Surrey. Alton Towers, in Staffordshire, England, is, like Thorpe Park, a theme park that has a bit of something for everyone. The brand new ‘The Smiler’ rollercoaster, along with classics such as Nemesis and Oblivion, provide the trills for the older kids while smaller rides and the newly opened CBeebies Land will mean that even the youngest kids will have a great time at the park. The park’s very own waterpark is great for both adults and children and the onsite gardens are the perfect place to relax before going on a few more rides! Stay in a home away from home in a lovely cottage in the stunning county of Staffordshire. Legoland, in Berkshire, England, is ideal for families with children between three and twelve. With lots of smaller rides and a Lego theme that is sure to amaze your kids, Legoland will keep the whole family entertained all day long. The surrounding county of Berkshire is a great place to stay in and you can find accommodation in the area by visiting Cottages in Berkshire. Oakwood Theme Park, in Pembrokeshire, Wales, is home to ‘Megafobia’, a wooden rollercoaster that was voted the best ride in the UK by the Roller Coaster Club of Great Britain. The only theme park in Wales, Oakwood is much smaller than places like Alton Towers but it is certainly not short of pedigree. 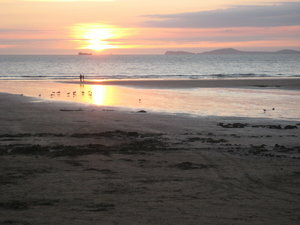 Find your dream cottage in the beautiful county of Pembrokeshire and enjoy a day out at Oakwood. Flamingo Land, in Yorkshire, England, is the perfect place to take your kids if you are going for a country cottage holiday in the north of England. Not far from the beautiful North York Moors National Park, Flamingo Land is not just a theme park; there is also a fantastic zoo which houses more than 120 different species of animals. Kids are sure to love both the rides and the animals so check out our selection of cottages in North Yorkshire.